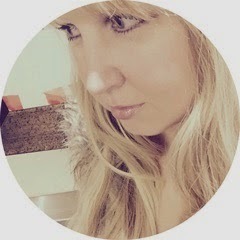 The Blonde Blogger: No "Do-Overs" With Frigidaire Gallery 24" Built-In Dishwasher - GIVEAWAY! 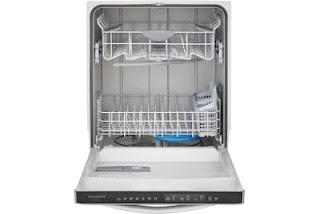 No "Do-Overs" With Frigidaire Gallery 24" Built-In Dishwasher - GIVEAWAY! We all have those moments in life that we wish we could do over, but washing dishes shouldn't have to be one of them. 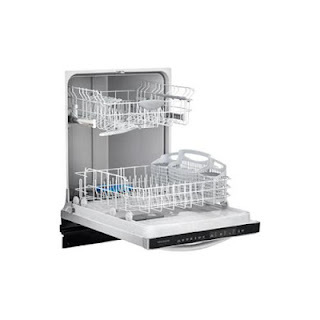 Frigidaire is making it easier than ever to "get it right the first time" with the new Frigidaire Gallery™ Dishwasher with OrbitClean™ Wash Arm that eliminates the need for dish do-overs and prevents "icky dish hands!" To celebrate the launch of the new Frigidaire Gallery® Dishwasher, Frigidaire invited fans to visit their Facebook page to submit a moment that you wished you got right the first time around. Whether it’s a bad first date or a vacation gone wrong, Frigidaire will help cover the costs for one lucky visitor to carry out the ultimate do-over. The contest is now in the voting phase, and for each vote submitted, Frigidaire will donate $1 to Save the Children. 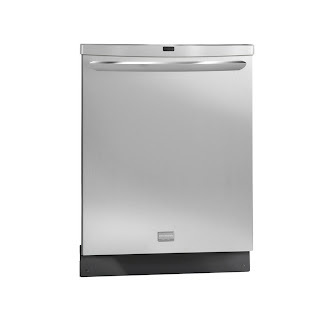 Thanks to Frigidaire, I have a great giveaway for readers of So a Blonde Walks Into a Review to celebrate the launch of the Frigidaire Gallery® Dishwasher, but first let me share the great features this dishwasher offers, and a moment in my own life I wish I could do-over. 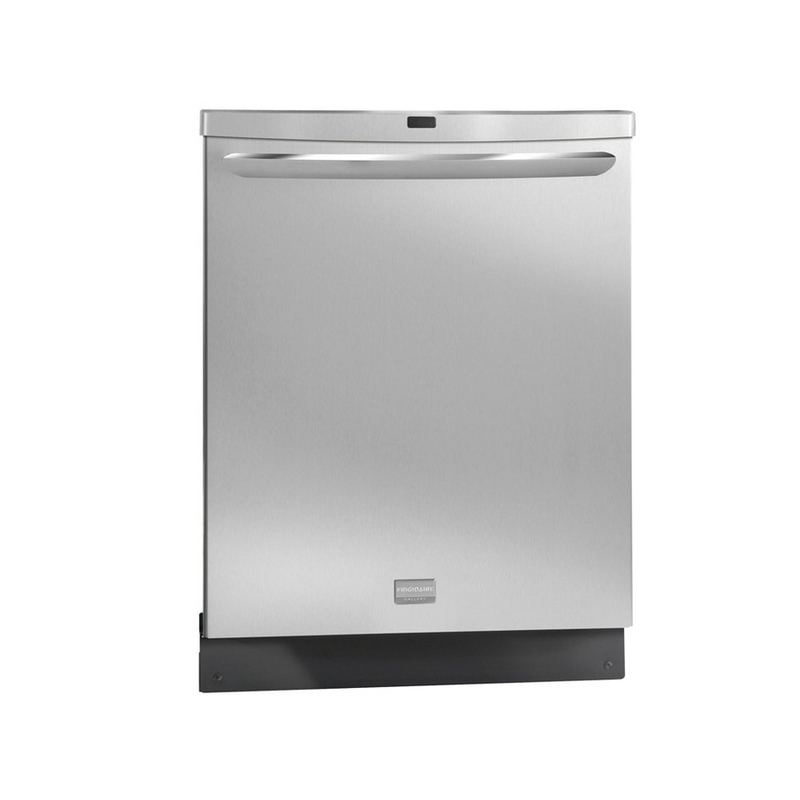 Best Cleaning Dishwasher - Exclusive OrbitClean™ Spray Arm provides 4 times better water coverage and a clean no other dishwasher can beat. Best Drying Performance - With SaharaDry™, there's no need to towel-dry before putting dishes away. Quietest Dishwasher - Quietest dishwasher, so it won't interrupt your time at home. Energy Saver Plus Cycle – Eco-friendly cycle uses less energy without compromising cleaning performance. Built with American Pride – Appliances that are high-performing, more accessible, and more innovative than ever—designed, built, and engineered in the U.S.A.
Smudge-Proof Stainless Steel – Real Stainless Steel with protective coating reduces fingerprints and smudges so it's easy to clean. NSF® Certified - Sanitize cycle removes 99.9% of common household bacteria. Fits-More™ Capacity – The large capacity, tall-tub dishwasher fits up to 14 place settings so you can wash even more at once. Fits more, cleans better, sanitizes, drys better, is smudge-proof and saves energy? Sounds great to me! I also love the idea of no more "icky dish hands." As for a moment I would personally like to do-over? Where do I even start?! It would have to be something involving something that I said, as most of my embarrassing moments in life involve the wrong words coming out of my mouth. I think the worst moment came during the funeral for my friend's husband. Our daughters were friends and very young (around 5). As I approached my friend in the receiving line, she said how much her daughter liked mine and suggested they get together again soon. What did I say? "Oh yes! Amanda is just dying to see her again!" As I realized my poor choice of words, I tried to make it better by saying something else quickly to cover up the fact that I had just said "dying" at a funeral. And those words were? "She just loves her to death." Seriously. Proof that I speak much faster than I think. So if I could do it all over again, I'd prepare something MUCH better than that to say to my poor friend at her husband's funeral! On a much lighter note, Frigidaire would like to offer one lucky reader of So a Blonde Walks Into a Review a $25 gift card toward a manicure (or whatever else you'd rather spend it on) to celebrate the launch of the Frigidaire Gallery® Dishwasher and no more "icky dish hands." To enter, simply log in to the RaffleCopter entry form below and follow the instructions. 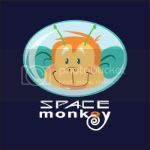 For those who are new to RaffleCopter, you simply follow each step, then tell RaffleCopter that you have completed the step (The first step, commenting on this post, is mandatory to enter. The other steps are bonus entries). By entering, you automatically agree to all the rules and disclaimers listed here. Please also see my disclosure policy here. Good luck! Update 6/25/2012- Congratulations to Courtney B who was selected at random as the winner of this giveaway via Rafflecopter and Random.org! Disclosure: I wrote this post as part of the Frigidaire Test Drive Moms team and received a gift card as a thank you for my time. 1. NO PURCHASE OR DONATION NECESSARY TO ENTER OR WIN. Sweepstakes ends 7/4/2012. Full rules available at Frigidaire.com. 2. Frigidaire will donate $1.00 to Save the Children for each Submission uploaded during the Submission Phase (5/14/2012 – 6/10/2012) and for each vote cast during the Voting Phase (6/13/2012 – 7/1/2012) with a minimum $35,000 and a maximum of $40,000, as part of our $500,000 commitment to Save the Children's U.S. Programs. 3. Based on ANSI-AHAM-DW-1-2010 for plastic interior dishwashers. March 2012. 4. Based on industry drying tests using SaharaDry™. March 2012. 5. In its class based on published manufacturer specifications for similar MSRP models. I would do over the year after high school. I took a break before I began college and now as I am finishing up college I wish I was done. I would have traveled more before I had kids. 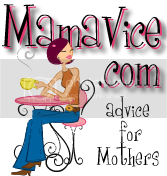 I'm entering on the rafflecopter with my Facebook username (Mary Happymommy). Thanks! i would do over a lot of my old relationships! I wish I hadn't turned down a full scholarship to college from the Elks Club when I graduated midterm. I would do over the last marriage. I wouldn't have done it at all if I were in my right mind! Honestly! The first car wreck I had. I would redo that moment and look a lot closer at oncoming traffic! some of the places I worked at I would not have. Easy - the first time I tried drugs. I would have bought Apple stock when my son told me to. I never would of started smoking. I would do over marrying my ex... as in wouldn't do it! I would have taken school more seriously.Thanks for the chance. I would have been more responsible in college. May I'm lucky but I don't really have a moment to redo. I'm happy with where my life has gone so far! I would've studied harder and gone to college. I would have gone to art school. I would do over my wedding... by far the absolute worst day of my life... not because of the husband but because of the wedding!! Seriously, I never should have listened to my mother who hated my ideas and just forced her ideas on me... I wanted an outdoor beach wedding, what I got was an indoor wedding in a chapel. For the reception, I wanted an outdoor bbq on the beach - something light, casual and fun. What did I get? A freaking sit down dinner at an Italian restaurant which was of course open to the public so I had to walk through it in my wedding gown... no dj, no music, no nothing but marinara sauce on the lap of my dress. Worst.Wedding.Day.Ever. I would become my step ma's friend. What moment would you do over in your life if you could? There's a few things I would like to take back. But I'll say I would have gone to college right after high school! My choice of college. I wish to god I would have gone to NYU. I would do over my old relationships. I would do over my last year of college and not have moved from the dorms. I would have gone to the dr's as soon as I wasn't well instead of waiting a year and needing surgery. Not buying our first house. My wedding. I would wait until I was a little older and make it a little more formal. thank you! I wish I had not married my ex husband when I was so young! I think my first marriage! Thanks for hosting! I would have been more responsible with money. One time when I said something and really stuck my foot in my mouth-- oops! I would do over college, and actually FINISH! There are some moments with my spouse when I would have been more supportive. I'd do my wedding over because so much of it went wrong. I still love my hubby though! I'd take back words I said to someone I love. Ugly words, much regretted. I would do over my choice in what to study in college. I would do over my college years if I could and choose a different path. I'd go back to college and get my degree. I would not have married my first husband. Though that said even those hard times shaped me into what I am today and I gotta love that. Ruining my first car when I was 18. This big pickup truck slammed his brakes on and about 3 feet of my little Saturn went completely under the truck bed! I would do-over college and have more fun! I would change how I acted in school. Is 'my whole life' an acceptable answer? If not, then probably switching schools in the 6th grade. Should have stayed with the old one. I would have skipped college(and the student loans) and gone straight into the workforce. I would do over my high school graduation and spend it with my family instead of my friends! I would do over the day I agreed to stay another three months on a job with an ahole boss. None. Every moment has made me who I am today. I would celebrate the little things more. Like when we got our first house and things like that. I dont regret anything in my life and I would do it all the same again! I would have eaten healthier and not let myself get so out of shape. The night my husband decided to join the Army I would have done everything I could to have tried to talk him out of it. My first marriage lol--would have never got married at 19! I wouldn't do over anything! Everything up to this point has made me who I am today! I would do over lots but I don't think I would get so serious with my high school boyfriend. would have chosen different major in college! I'd do over my wedding day.